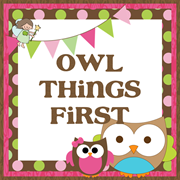 Owl Things First! : Looking for Spring in all the Wrong Places! Looking for Spring in all the Wrong Places! I've been looking for spring in all the wrong places. Even though the past week was called "Spring Break", I saw very little evidence of it. Finally today I realized I've just been wrong in my approach! I'm using Five for Five to show you some of the places I've looked and failed at finding my beloved friend, Spring! 1. I looked locally. My girls and I went to feed ducks. We found a most unusual duck, but we didn't find Spring! A Melanistic Mallard Duck! A melanistic animal is like the opposite of albino! To see more click HERE!! 2. I looked around the house for Spring, but only found Easter eggs! Of course it's an owl! There was at least a foot of snow covering the ground. I really wouldn't want to drive here in the winter, or spring! 4. Maybe I could find Spring in one of the shops downtown. Chickadee Jubilee would love this place! I love it too, but no spring found here! 5. I finally found Spring. She was in the loveliest places I know...A book! I love the bright pictures and feeling of spring that I get from Kevin Henkes, My Garden. What a great book to share with my Owlets after our break. The Book Fairy will be leaving this awesome book in the classroom for us! I've made a freebie that goes along with this book and you may get it HERE. Thanks for the Link-Up Casey! It gives me something to think about all week long! Your post reminds me of Frog and Toad All Year. They are looking for spring and can't find it. Of course, at the end of the story, they find it around the corner :). Cute post! Aw, I'm sorry your spring is taking so long to arrive, Jenny. That's no fun. Jenny, come to Idaho. You can find spring here. I've been running in my tshirt and shorts this week, and I really need to mow my lawn. 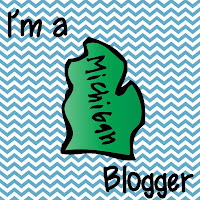 I'm your latest follower- I just found your blog through Five For Friday- it's the first one I've ever done because I just started my blog on Wednesday! 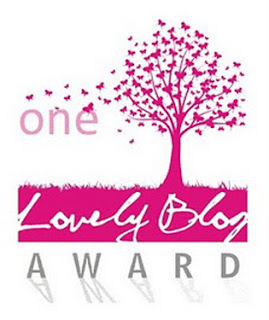 This is such a good way of seeing other blogs and meeting people! Hi Jenny! Just found your fun blog through Laura's giveaway, I'm your newest follower! Hi! 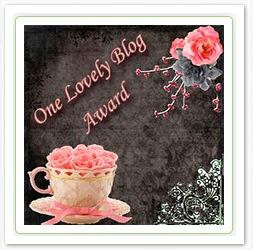 I found your adorable blog at Laura's giveaway! 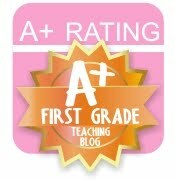 I love your post about "finding spring"! I can SO relate since I live in a lake effect snow region:) Today it feels like spring is here though! Spring is not here either...just rain, but I love it! That store looks adorable. My classroom has a nest of birds hiding in a bush outside. They are so noisy, but they remind me of my birding friend. Have a lovely day!